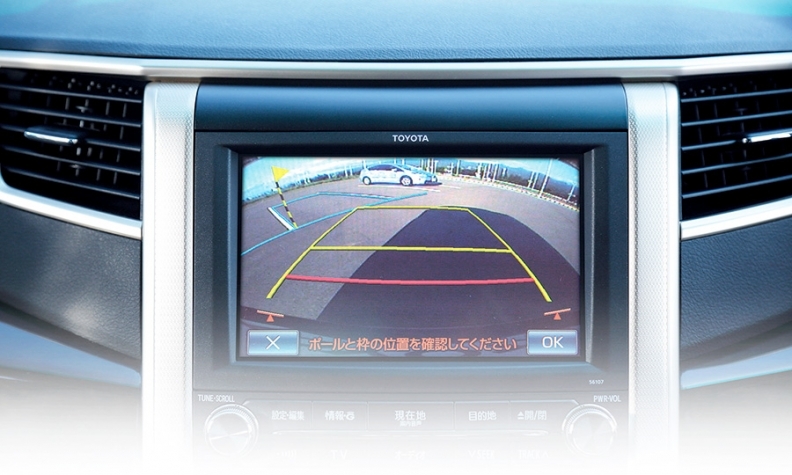 Sales of onboard cameras, used to create this backup image, are expected to triple globally by 2020. Global sales of collision-avoidance sensors are rising rapidly. Here are sales forecasts. Fully autonomous cars may be a decade away, but the sensors they will need for collision avoidance -- radar, cameras, ultrasound and lidar -- have become a big business already. Radar and cameras will account for the lion's share of that revenue, followed by ultrasound and lidar, according to the IHS forecast. Lidar, the sensor of choice used on Google's driverless car, will generate relatively small sales by 2020. It uses pulsed laser light to measure distances. "Initially, Europe was the primary market, especially for adaptive cruise control," said Kay Stepper, chief of Robert Bosch's regional business unit for driver assistance systems and automated driving. "But that is quickly changing. We have a fast-growing market in North America as well." Within a decade or so, say industry analysts, the array of collision-avoidance sensors will feed data to powerful onboard computers to create self-driving vehicles. Some planners also believe that safe autonomous driving also will require vehicle-to-vehicle communication enabled by wireless devices called transponders. The safety trend is generating strong sales for key radar suppliers such as Bosch, Delphi Automotive, Denso Corp., TRW Automotive and Continental. Automakers are starting to equip their mass-market models with anti-collision systems, which typically rely on radar and cameras to monitor the road ahead. Blind-spot detection and lane-departure warning systems -- which also use radar and cameras -- have proved popular. And vehicles equipped with parking assist often sport an array of ultrasonic sensors. Luxury brands such as Mercedes-Benz, Infiniti, BMW and Audi already equip cars with surround-view cameras and ultrasonic sensors to help motorists park. The next step is 360-degree road surveillance, which would allow automakers to design vehicles that can change lanes on their own. In the near future, automakers seem content to depend on radar and cameras for that task, says Jeremy Carlson, a Los Angeles-based analyst for IHS Automotive. Suppliers want to make lidar, the coffee can on the roof, smaller and cheaper. However, some suppliers are developing lidar sensors to back up radar and cameras for fail-safe lane changes. Each type of sensor has its strengths and weaknesses. Inexpensive ultrasound sensors are good at detecting obstacles at short distances, which makes them useful for assisted parking. Radar can accurately determine the distance and location of an obstacle in the road, Carlson says, but is not very good at identifying a cyclist, pedestrian or animal. Cameras, by contrast, are very useful for identifying the type of obstacle, but they have a shorter range than radar. Cameras can be affected by rain and dirt, while radar can be impaired by dense fog, according to Carlson, "but they are generally not susceptible to the same conditions, which is why they are so frequently paired in sensor fusion systems." A lidar sensor has a wide field of view and delivers a very detailed image. Google and Nokia's HERE unit both use lidar to map roads, but that type of lidar is too bulky and expensive for production cars. For its City Safety anti-collision system, Volvo uses a smaller, cheaper lidar unit that generates a less detailed image than a Google-style lidar, according to Carlson. "Its range is inferior to camera and radar, but it is a low-cost sensor," he adds. While suppliers work to upgrade lidar, today's big seller is radar, which is expected to generate industry sales of $1.62 billion this year. Bosch, for example, expects to sell 1 million radar units this year. In 2015 and 2016, the German supplier expects its annual sales will average 4 million units. Demand for collision sensors is expected to jump in the next couple of years as luxury automakers introduce vehicles that can change lanes to avoid collisions. Delphi Automotive, for example, will produce radar next year for two automakers that are introducing 360-degree vehicle surveillance. Delphi declined to name its customers. Such vehicles typically will feature four radar units -- one in each corner of the car -- plus cameras, says Sandeep Punater, Delphi's North American managing director for electronic controls. In some cases, a vehicle will sport as many as five radar units, which is one reason Punater is bullish about it. As automakers introduce 360-degree surveillance, they'll find additional uses for those radar sensors, such as parking assist. 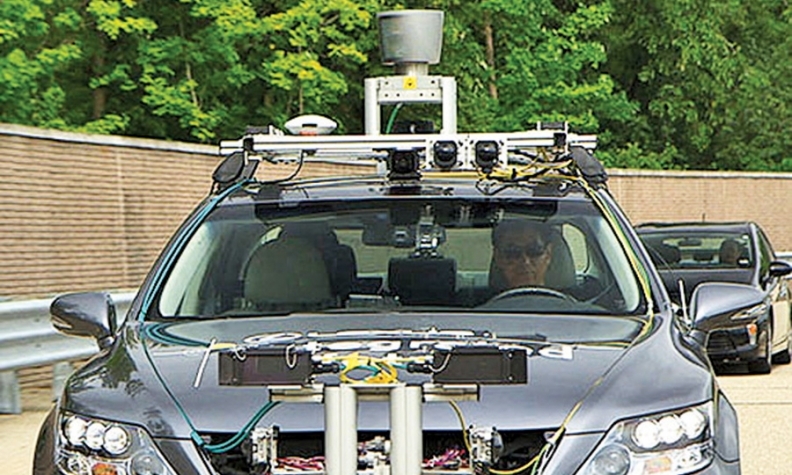 Although ultrasound sensors are cheap, automakers wouldn't need them anymore, Punater says. "You can start using radar for multiple applications," he said. "By the end of this decade, we expect to see some ultrasonic applications replaced by radar." Punater says a radar-and-camera combo should be adequate for 360-degree surveillance, but the supplier community is not united on this issue. Some engineers believe automakers will prefer three sensors -- radar, cameras and probably lidar -- to provide fail-safe road surveillance for automated lane changing. For now, though, lidar seems likely to be a "niche" technology that will supplement cameras and radar, but not replace them.